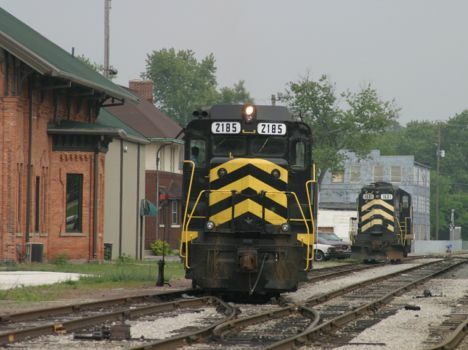 The Indiana Northeastern (INER) was formed in 1992 with the purchase by investors of the Hillsdale County Railroad. INER operates former New York Central and Wabash lines in Indiana and Michigan. The INER's has three lines, the first runing from its headquarters city in South Milford, IN and heading east to an interchange with the NS at Montpelier, Ohio. Its second line heads north off of the first at Steubenville, IN going north to Hillsdale where the company has a yard. The third line heads west from Hillsdale through Jonesville to Coldwater and Sturgis. It also has a short branch from Jonesville to Litchfield. From Coldwater to Quincy, the track is owned by the Branch County Users Association. 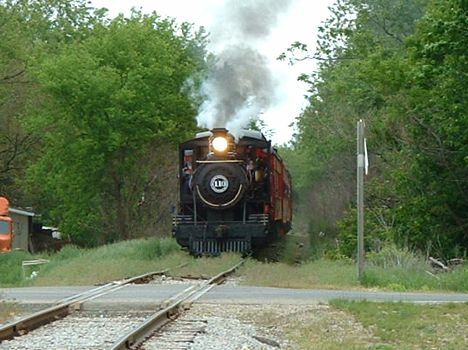 The railroad is also home to the Little River Railroad operation, a non-profit organization which provides passenger excursions pulled by a steam locomotive. The Little River operation is based in Coldwater. In addition to the steam operation, the INER has a number of vintage railroad depots on the line, including Montgomery, Hillsdale, Jonesville and Sturgis. The line also uses the former New York Central Division office in Hillsdale. This once was the division office for most of the LS&MS/NYC lines in the southern tier of counties (the former Michigan Southern line). The NYC dispatcher was located in this building.